Our sponsored athlete wins another tough event. John O’Regan wins Energia 24 hour race in Belfast. Here’s the official press release on John’s fantastic win and new track record. We are very proud of his achievements and his continued success and dedication to ultrarunning. 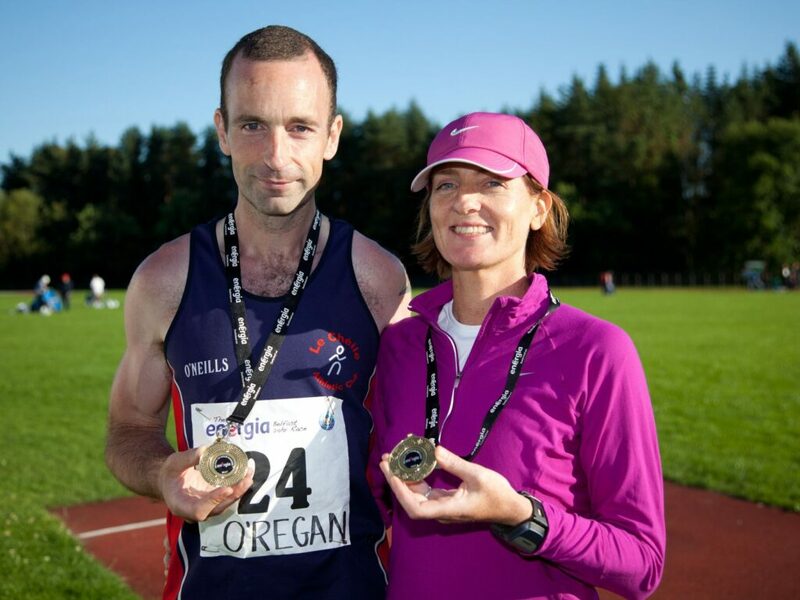 “John O’Regan ,41,from Leixlip in Kildare set a new track record as he was crowned Irish champion winning the Energia Belfast 24-Hour race at the week-end(July 22/23). 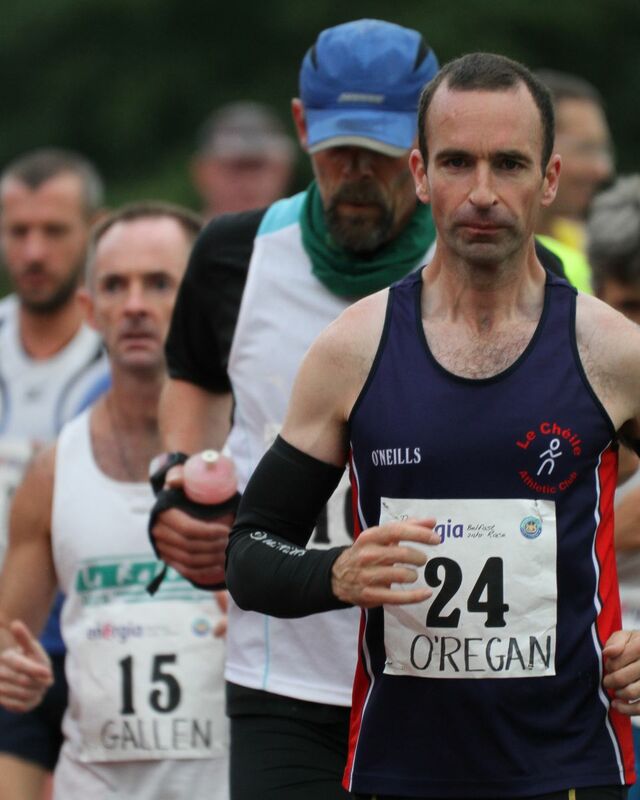 It was a commanding performance at the Mary Peters’ track as the Irish international ultra man churned out some 132 miles, that’s some 532 laps, beating Thomas Maguire’s distance set last year by some 5 miles. This time the very disappointed defending champion Maguire,38, from Fermanagh dropped out after 16 hours suffering from a torn quad muscle. Michael Cunningham,46, from Limerick had set a cracking pace covering the marathon distance of 26.2 miles in three-and-a-half hours. It was the first experience of ultra running for the Cappamore bus driver and by half distance O’ Regan had drawn level and went through 100 miles in under 17 hours. O’Regan stayed on the track right round- the -clock as did the man finishing behind him, Belfast’s Eddie Gallen,48, who had flown in from his Madrid base for the race. Gallen was doing his 21st 24-hour race and he was back to his best form finishing second and covering 127 miles – 8 miles more than last year,and no doubt fortified by the pizzas his brother-in-law had brought from his pizza parlour during the night. The powerful Icelandic champion Gunnlauger Juliusson finished third on 120 miles. But perhaps the most eye-catching performance came from Tipperary’s Deirdre Finn,44. The Killaloe woman shattered the tra ck record by some 22 miles registering 112 miles which left her in sixth place overall. Last year’s women’s winner, Lynne Hanna,48, had set the mark at 90 miles and the Everest conqueror from Dromara didn’t give up her Irish title lightly breaking through the much sought after 100 miles – equalling her husband Noel’s performance of last year. Third in the women’s race was the gallant Hungarian Timea Bontovics,44 from Budapest. While her husband watched on with the youngstest of their four children she covered some 91 miles. In all, a remarkable 18 runners went past the 100 miles barrier including Liam McGarry 34,from the Ormeau Road in Belfast who surprised everyone given that his preparation was playing five-a-side football. Yorkshire’s Mark Ketteringham,39, was doing the race because of a mid-life crisis and because he couldn’t afford a sports car. He was greeted on the line by his wife and two kids as he made the 100 miles but soon afterwards collapsed from complete exhaustion and needed medical attention at trackside. As did mother-of-two Susan McCartney,34. The technical illustrator from Belfast collapsed in the middle of the track such was the pace she’d set in the first 12-hours, spent some 4 hours receiving help from the paramedics and resting – only to return and complete 86 miles by the finish. She and her brother Tim Brownlee – who made the 100 miles – were collecting much needed funds for their mum’s charity working with AIDs orphans in Malawi. The 12-Hour was won by Sean McCormack,48, from Wales. He covered 68 miles; and one relay team, Orangegrove-Liz Leitch,Gary Keenan,Colin Fulton and Ralph Coetzee- had a combined total over the 24 hours of a whopping 170 miles.